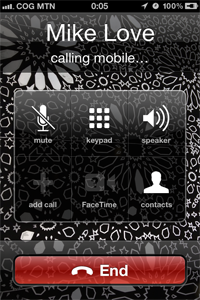 Callit is an automated calling manager. 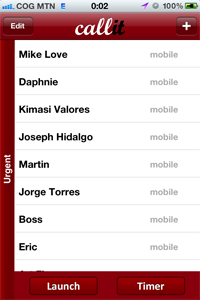 It allows you to call a list of contacts in rapid fire succession. - Stranded regular Joes and Janes looking for a last minute partner to go to a movie on a Saturday night! - Because it will jumpstart your productivity. - Because it will become an integral part of your business day and make your life easier by doing all the dialing work for you. - Because we include a time-travel machine and a magical unicorn with every purchase. Just Kidding of course, the unicorn was not available. Please rate us and leave comments so we can make your experience better. 1. You create a list and give it a name. 2. 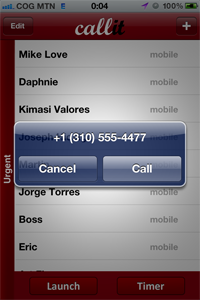 You add your contacts either manually or pick and choose them from you address book. There is an option to import your entire address book. Once you've populated a calling list, you can edit the name orders and delete entries. 3.That's it. 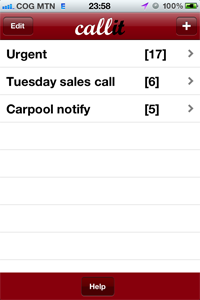 Now you can either set a reminder to start the chain phone calls for a later time or launch the chain calls immediately. Both options are at the bottom of your list. BUT HOW DOES THE ACTUAL CHAIN CALLING WORK? 1. Your first contact will pop up and you will press "Call." 3. a) OPTION 1>> If you reched your contact and talked to them, you answer "Yes" to callit's question at the end of the call asking you if the call was successful. 3. b) OPTION 2>> If you didn't reach your contact (user busy, unreachable, they couldn't talk to you) you press "NO" to callit's question at the end of the call asking you if the call was successful. - If you answered "Yes", you will not need to keep them in the contact list because you've reached them. 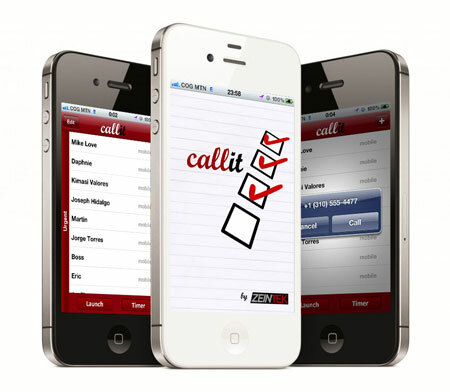 - If you answered "No", callit will move them to the bottom of the call list and try them again later. DO I HAVE TO MAKE A NEW CALLING LIST EVERYTIME? For now yes, in our future upgrades below, this is one of the features. Get Callit on the itunes store.